Now you can create the ideal splatter with the new Tim Holtz® Distress Splatter Brush. 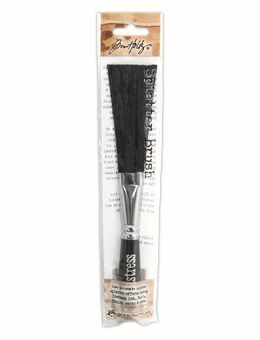 The Distress Splatter Brush is designed to create unique effects with Distress Ink, Paint, Stains, & more. Achieve various speckles, splatters, and texture on your mixed-media projects using your favorite art mediums.